Located on the northern coast of Peru, Chiclayo is well known from its thriving witch market to its impressive archaeological sites, as well as for its beautiful colonial architecture, delicious seafood specialties and natural medicine. Chiclayo is a metropolitan city with and old town feel, and is one of the most important cities in Peru, although it is the surrounding area´s impressive archaeological treasures left by millennia of civilizations, which undoubtedly bring the most tourism interest. 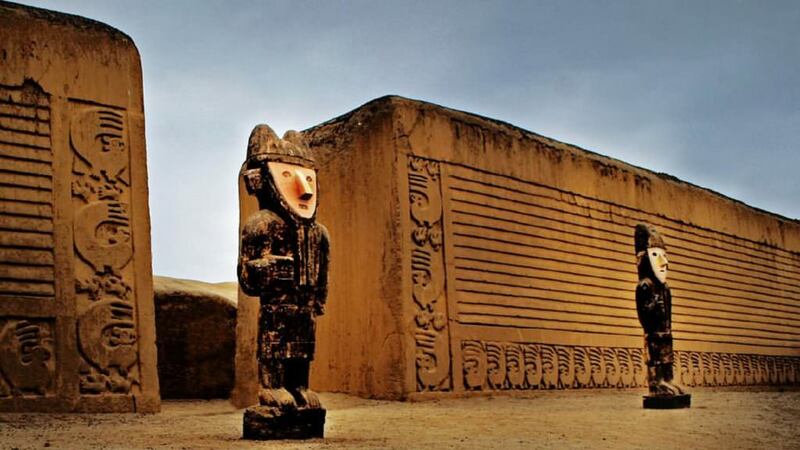 The pre-Inca civilizations of Chimú and Mochica flourished here, characterized by their human sacrifices, high quality work in gold and fine ceramics. The Lord of Sipan’s tomb is considered the most important archaeological discovery in the world during the last decade. Visit it and learn how archaeologist unearthed a tomb that was laden with buried treasure. The immense quantities of silver and gold articles found in this tomb reflect the splendor of these ancient civilizations. Visit one of the most intriguing and informative museum on the South American continent, The Royal Tombs Of Sipan Museum, and examine headdresses made entirely of gold that were buried for 1700 years. Chiclayo enjoys a warm and sunny climate all year round, with fresh ocean breezes and expansive beautiful beaches with spectacular waves, which are quite popular with surfers.